One of the elements in Kirby Star Allies that might be easy to glance over is the game’s menu skits. Players can watch a variety of skits while looking at the title, file select, and mode select menus. What you may not be aware of is the work that went into creating them. This week, Tatsuya Kamiyama gave some insight into how the skits – of which there are 82 patterns – were created. Read what the developer had to say on the subject below. I’m Tatsuya Kamiyama, sequence director of the Kirby Star Allies game. When you open the title, file select, and mode selects menus, you can watch Kirby and friend helpers perform short skits. Additionally, Dream Friends that are added through free DLC updates also participate in skits that may remind you of games they originated from. With the additional 18 skit patterns added from 2 free DLC updates, there are currently 82 different skit patterns. This is only the number of patterns, so if you consider the characters randomly placed in different roles and different moving directions, there’s actually a lot more! When we were creating the structure of the title menu, we wanted to design a menu screen that matched the feel of the game. Since we knew friend helpers and friend abilities would be key features of the game, we decided to include Kirby and the helper friends. The stages and title menu systems are different, so it is difficult to add in Kirby in a similar way to how he appears in stages. On top of that, this game has a large variation of characters and copy abilities, so it was quite the challenge. In the beginning, we were planning to just have Kirby run across the screen with friend helpers, but ideas started to fly around, like, “Wouldn’t this be cute?” and “If we include these characters, we can do this!” So, the staff’s love for Kirby overflowed and a variety of short skits you can watch in the completed game were born. 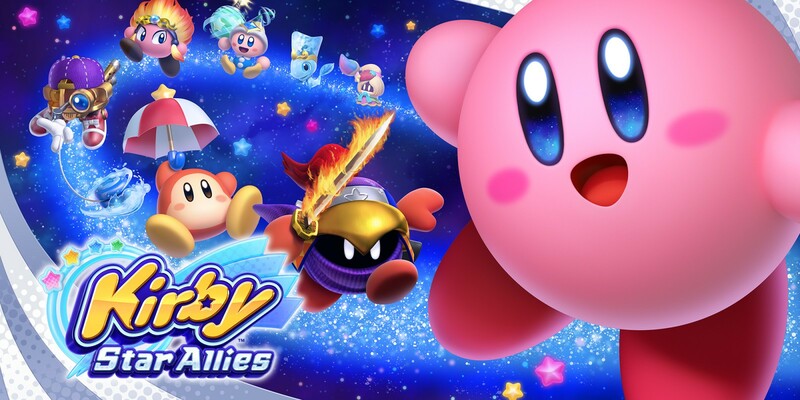 When you start playing this game for the first time, you only see Kirby in the title select screen, but as you play more with friend helpers, they start appearing in the title screen too. We hope you’ll check out the title screen and enjoy Kirby and friends’ adorable skits when you have a chance.